Guess what, Peeps? I forgot my own 2 year blogiversary!! I know, right? I knew it was in July, and for some reason I thought it was today, but when I went back it was actually the 6th! It doesn’t matter that it’s belated though – nobody else is counting after all, but for me it’s still a pretty cool milestone! 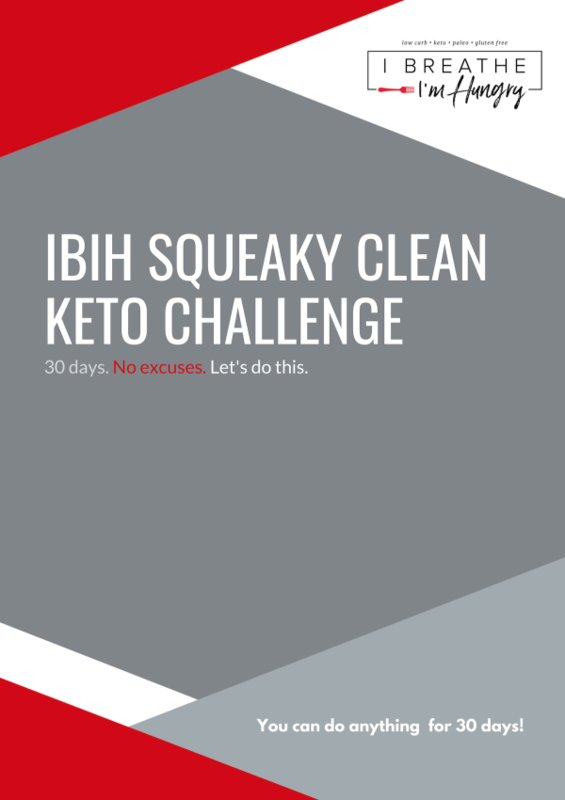 When I started IBIH, I had no idea where it was headed – it was really just a whim, and I never intended for it to be a “real” blog. To say that I’m grateful to be here at this point today would be a gross understatement! I appreciate so much the time you all take to comment, here and on the Facebook page, as well as the numerous emails I get on a weekly basis. 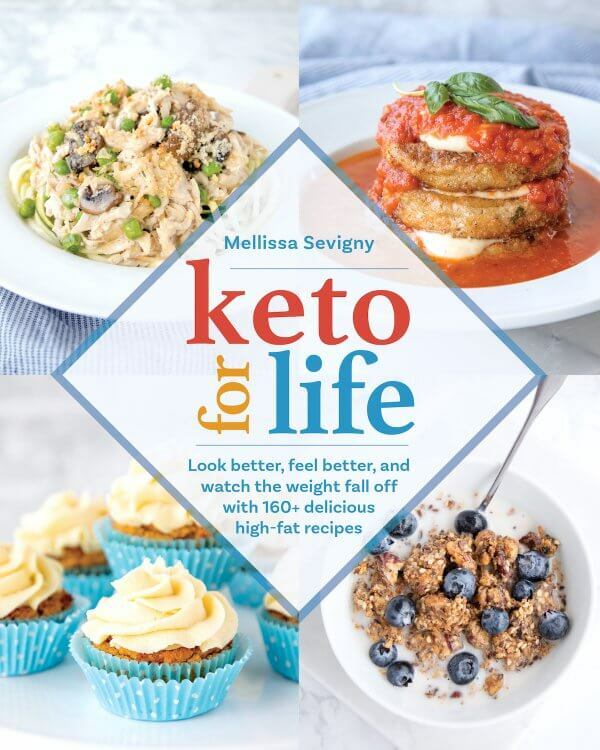 So many of you have shared your stories with me, and have expressed that the recipes here are helping you manage your weight, your diabetes, and other ailments suffered by you or a family member. Please know that I read and keep all of them! Sometimes, when I feel like the demands of running this blog are too much to handle, I go back through and read some of them again, and it’s all the incentive I need to keep IBIH going. As far as celebratory recipes go, I kind of burnt myself out on the Bacon Cake for Bake my Cake 2013. The idea of crafting another epic low carb dessert to mark the blogiversary was exhausting even to think about. And then I thought, why bother? What we all really want when we’re celebrating is something not only delicious and festive, but also easy to make. Who wants to toil over a complicated recipe when they are supposed to be basking in their accomplishments. Not this chick! 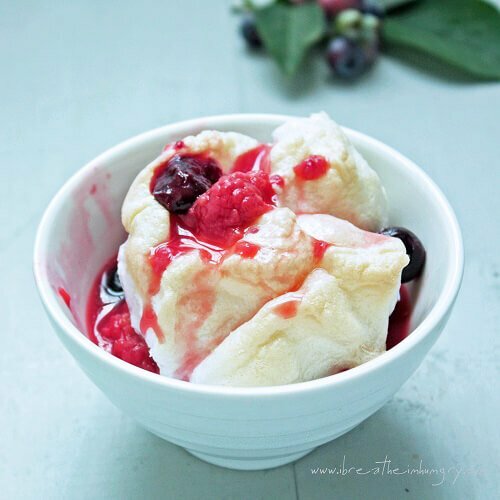 And so I give you this easy low carb Summer Berry Meringue. It’s pretty, it’s simple, and it tastes amazing – what else could you ask for in a low carb dessert? 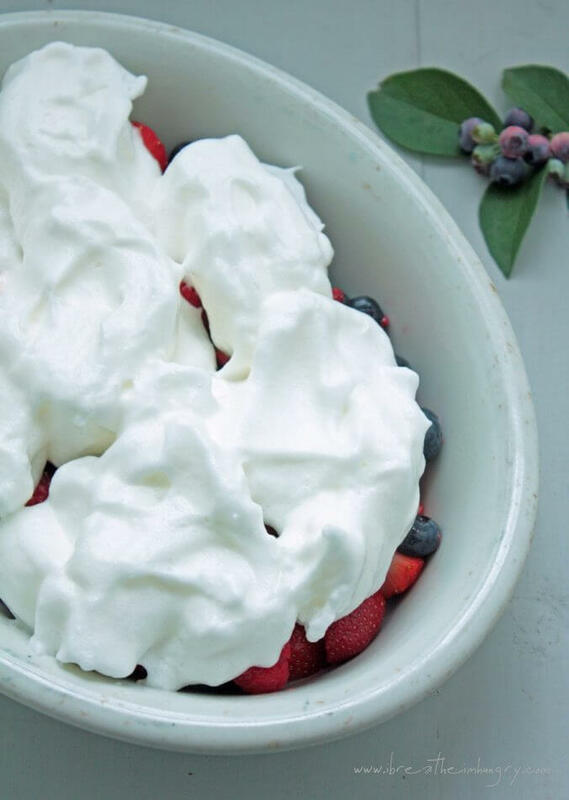 The bright flavor of the berries is the perfect accompaniment to the pillowy soft meringue topping – every bite tastes like Summer. As far as it being super simple, it doesn’t get a whole lot easier than this. Except for maybe the chocolate or strawberry mug cakes – those are even easier! 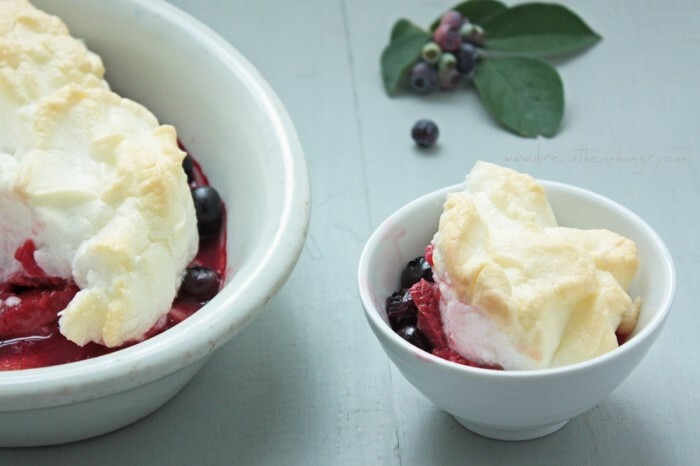 This recipe has two simple components – the berries, and the meringue. I used xanthan gum in my meringue and it really helped it hold it’s shape and stay pillowy and soft in the center. It did get crispy on the outside, which I love. But humidity is the enemy of crispy anything, and it’s Summertime in the South, so you can put two and two together and figure out that it doesn’t take long for them to turn soft. If you want to serve them crisp, get them to the table ASAP, right out of the oven. So here’s how this is going to go down. 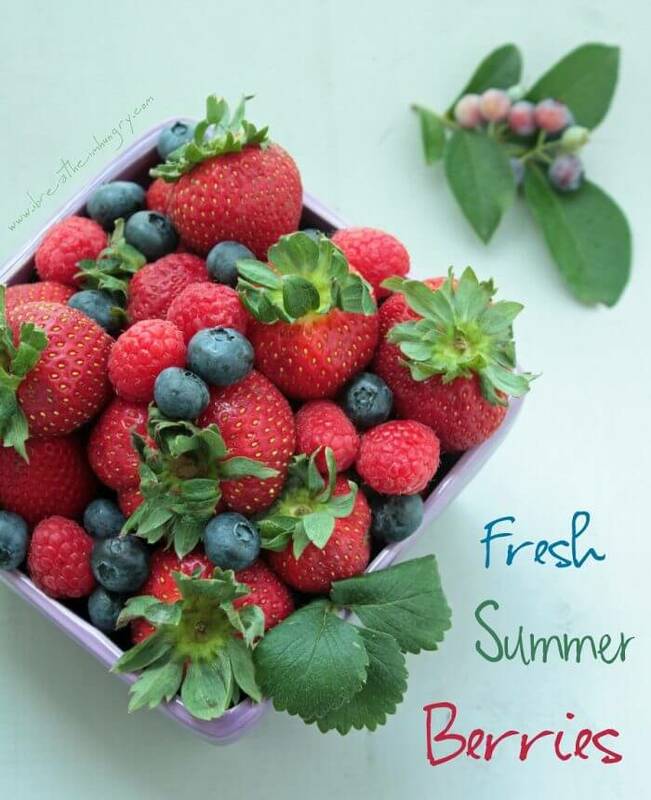 Start with an assortment of fresh summer berries. Wash and slice them up, then toss with a little of the sweetener of your choice – or omit it altogether if your berries are super sweet on their own. Add them to individual ramekins or one large baking dish. 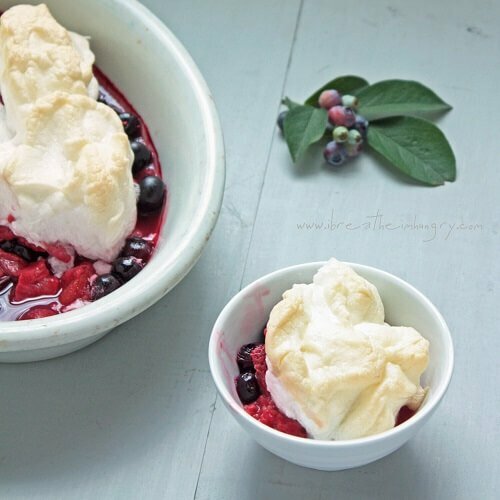 Whip your meringue and pipe or spoon it over the berries. I wanted an easy, rustic look, so I dolloped it on and left some of the berries peeking through. Bake it in a 300 degree oven for about 40 minutes, or until crisp – ideally you want it to dry out but stay white, a feat I have not yet been able to accomplish. Mine always seem to get somewhat golden, which doesn’t affect the flavor at all, it’s just not as striking against the berries as bright white would be. Remove from the oven and serve. See? Easy. Not to mention beautiful, and loaded with Summer flavors. Perfect for your next celebration or occasion! 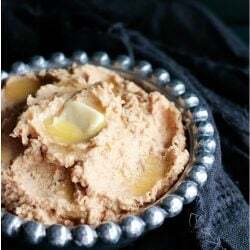 The perfect low carb and low calorie dessert for summer – beautiful, easy, and delicious! Wash and slice the berries. In a medium bowl, combine the berries and sweetener, gently tossing to coat. Spoon the berries into one large, or 6 small baking dishes. Combine the egg whites, sweetener, and xanthan gum in a large bowl. Whip until stiff peaks form. Add the vinegar and whip until just combined. 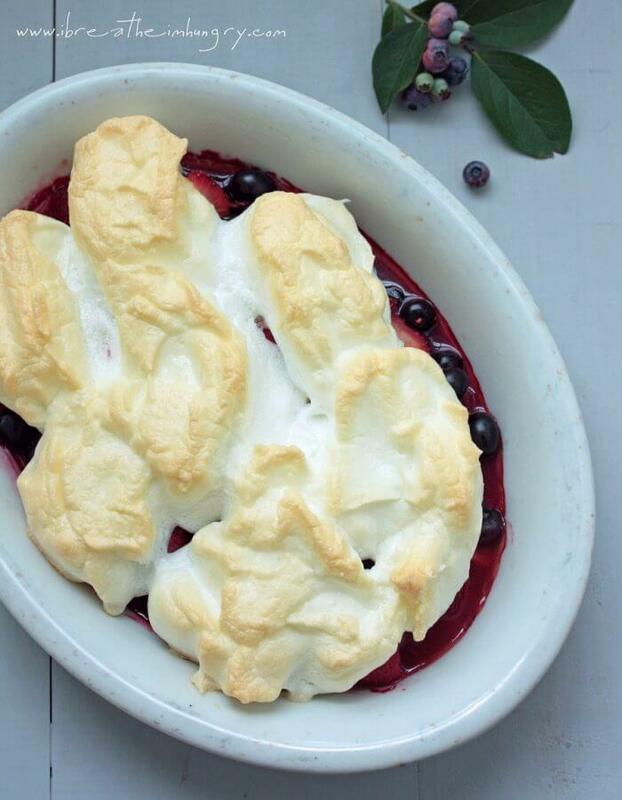 Spoon the meringue over the berries. Bake in a preheated 300 degree (F) oven for about 40 minutes for one large, and 25 minutes for 6 small meringues. Remove, and serve immediately for a crisp exterior. I’d like to do something to mark this occasion though, so I’m giving away 10 copies of the IBIH Summer Recipes e-zine. It will be a random drawing – to enter simply leave a comment on this post. For extra entries, like us on FB, follow on Pinterest and/or Twitter, etc. and leave a comment for each. You know the drill. If you’ve already purchase the e-zine and you win, I’ll refund you through Paypal. Contest is open to all countries, and ends Sunday July 14 at 8pm eastern standard time. Don’t want to wait? 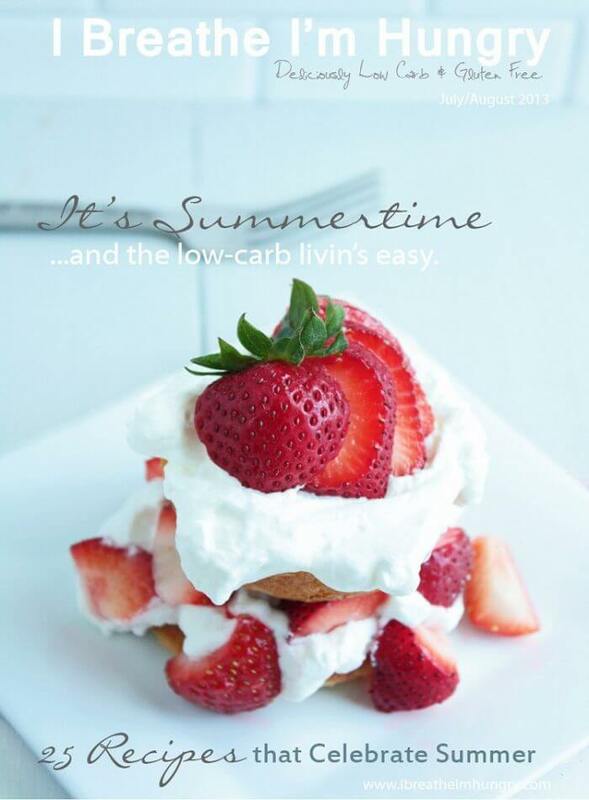 Download your copy of the IBIH Summer Recipes e-zine now for only $5.00! Also, Healthy Recipes Magazine is giving away a free 3 month subscription to IBIH readers. If you’re interested just click this link, provide your email, and you’ll get the code. It’s not one of those trick things either, where you start getting billed after three months. At the end of the three months, your subscription is automatically cancelled and it’s up to you to go renew it and provide your payment information at that time if you want to continue. my mixture isn’t thickening or is it supposed to take a while for it become thick ? He it’s not too late. Love ur recipes! This looks so delish!! I cannot wait to make this for tailgating! The group I go with all try to live by a low carb lifestyle but desserts are our weakness! This should satisfy the sweet tooth! And happy blogiversary!! 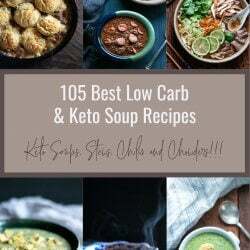 I love coming here and KNOWING I will find a yummy recipe that I don’t feel guilty for eating and can actually make without going to culinary school! Yay! Thank you!! Love, love, LOVE both your recipes and your sense of humor. Congrats on your blogiversary! Keep’em com in’! I pinned these! I cannot wait to give them a try! Happy blogiversary! happy blogiversary!!! girl, two years is BIG, right? I’m almost there, and it’s to the point where i can’t remember NOT blogging. :) Your berry meringues? i die for them. I would make meringues on a near-constant basis if I had my way, and they are delightful with berries. The only way i’ve found to make meringues which don’t brown while baking is to bake them low and slow: we’re talking 200 degree oven or thereabouts for several hours. It keeps the whiteness, but since you’re doing berries here too, i’m not sure how that temp would work for them. Thanks for the tip Shannon! I will try that next time I make pavlovas and see if I can get them bright white finally! And I know what you mean about BB (before blogging!) What did I do with all that free time?? Oh I know, I had a life… ha ha! Just kidding, I love blogging – even if it is a lot of work! Happy blogiversary! I’m happy to know you, and still have people talking about your “Bacon Cake” in there here parts! Also, I would marry meringue if it were legal. Happy belated blogoversary. I am pinning these to a group berry board, because even the “low fat” set will love them! This looks amazing! Would using less strawberries and more blueberries help lower the carb count? My birthday is next weekend so I might make this as my “cake”. :) Oh and if I could win the book that would be great too. Actually Tina, I was surprised when I calculated the nutrition info that blueberries have over double the amount of net carbs as strawberries! A cup of strawberries has 8g net carbs, 1 cup of raspberries has 7g net carbs, and 1 cup of blueberries has a whopping 18g net carbs! So if you’re looking to decrease the amount, reduce or omit the blueberries altogether! Enjoy! I cannot wait to make these summer meringues tonight. 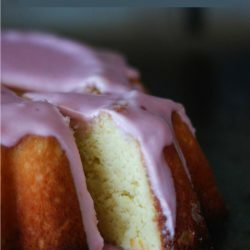 I have just started following and would love to have the e-zine and find more recipes like this. So glad i found you-happy blogaversary! I love your recipes! I’m glad I bought the book and have had so many tasty desserts thanks to you!! 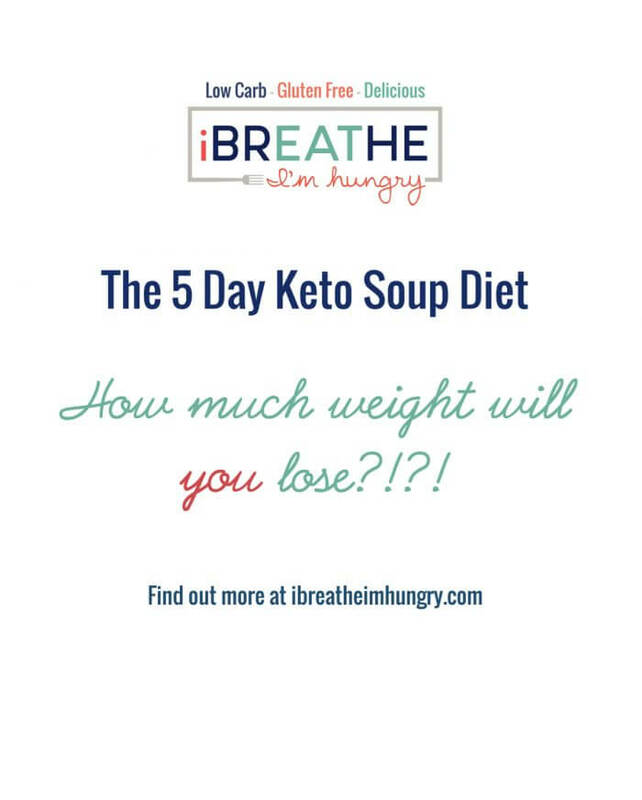 Can’t wait to try this as soon as I am done with my Whole 30! Which, by the way, I found because of you. 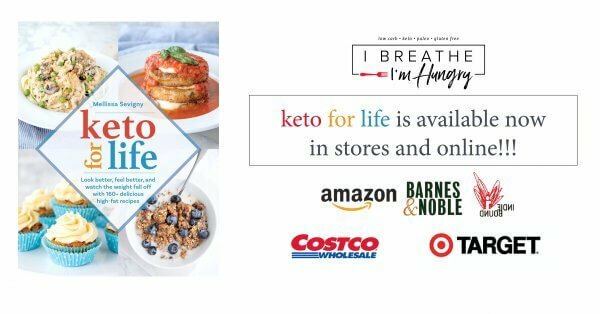 I despaired of ever getting my eating under control, but Whole 30 is a miracle. So thanks for being the little blog angel that got me back on track! And feeling better than I have in years. This looks awesome, I can’t wait to try it! Would love to do something with some canned pumpkin. How could I make a custard to put under the egg whites? Almost like a flan texture? That would be super yummy too…. 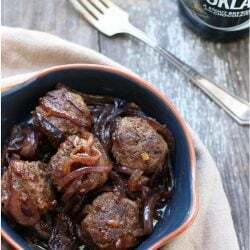 Would love to have more of your recipes. Every one I have tried is a winner! Happy Blogiversary!! :) The e-zine looks amazing! I’m crossing my fingers for it!! Happy 2 year Blogiversary. I love following you, keep up the good work. May you have many more! And I follow on Pinterest! Your food photography is gorgeous. I liked on Facebook. (And I’ve made the pumpkin crepe cake three times btw). I love your recipes! So inventive! Nice to see a simple dessert that doesn’t need any special ingredients. I already have the ezine, but happy blogiversary! Love your recipes so much, and your humorous intros(the only thing I feel is missing from the ezine/cookbook). 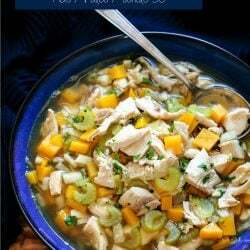 This recipe also looks great, can’t wait to try it! I was looking for a GF baked item for a fancy breakfast menu and I think this will be it. I won’t have to make fruit salad on the side! 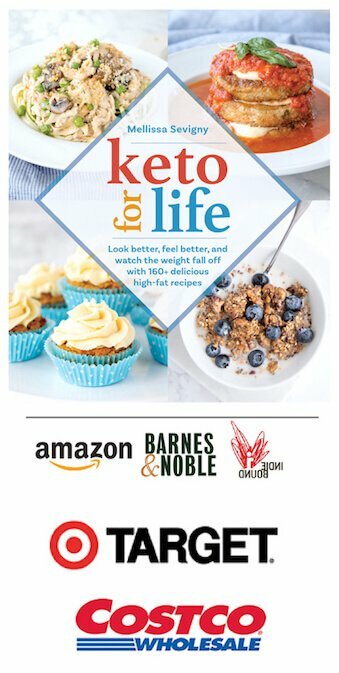 Wow, I’m so glad I found your blog (through reddit/r/keto))! I’ve made a few of your recipes and so far, they’re all wonderful! I’m looking forward to trying this one as well. Looks so delicious! Will try for sure, as an easy alternative to pavlovas. Thanks for the change to win a copy of the Summer Recipes issue! 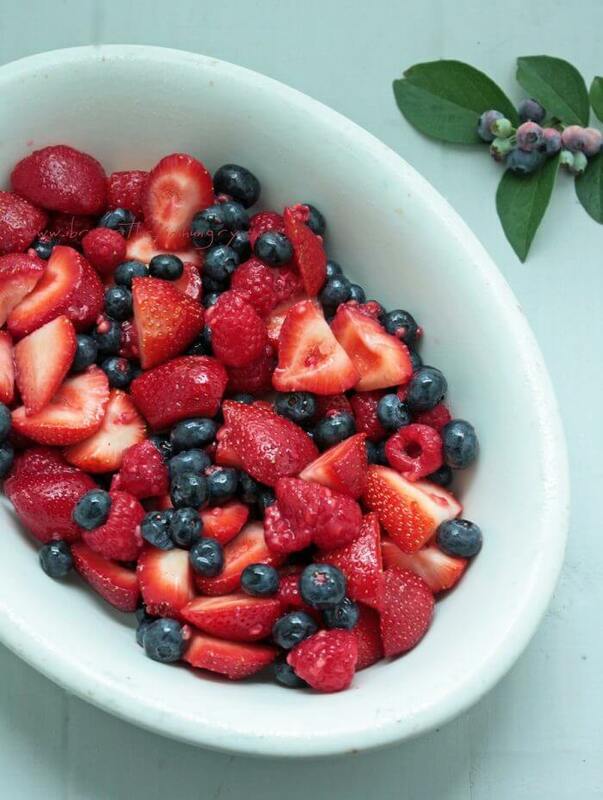 Wow, those berries look so good! This looks delicious. I love meringue and any way to include it in a dessert is good with me! Baking it right on the berries is so clever and easy! 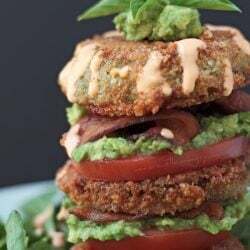 This looks so yummy, can’t wait to try! Ooh this looks so good! 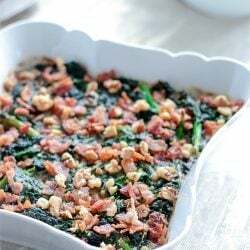 I was planning on making the bacon cake for my hubby’s deployment homecoming next week but I realized that wouldn’t actually be practical, but this dessert would be absolutely perfect! He stayed keto the whole time in Afghanistan, despite tribulations like losing breakfast halfway through (they stopped serving breakfast altogether and up to that point he would get an extra omelet and put it in the fridge for later) and the perils of me sending 3 cases of girl scout cookies (he said they were all gone within 5 minutes of him putting them in the office lol) Anywho, thanks for always having such awesome recipes! I have had something similar in mind since I saw it on Donna Hay’s website. I have cherries in mind since it is the season:D Congratulations on your e-zine book. 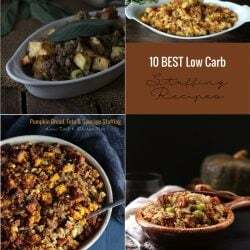 I look forward to seeing how you take my favorites and make them low carb! I have yet to fall in love with any sweetener other than sugar, which makes it a challenge…but you keep giving me great ideas! This looks delicious! I keep thinking I need to use my mixer more often and to not limit myself to one ingredient foods…Think I’ll whip some up this weekend. I would LOVE a copy of your e-zine :) Happy blogiversary! This looks fantastic!! Perfect for summer and all those berries I just bought from Costco (that totally go bad because I don’t eat them fast enough)!! Happy Anniversary! LOVE your blog!!! This looks super delish, I can’t wait to try it! Happy blogiversary! I wish I had these ingredients in my cupboard right now! I love when healthy food is satisifying! Also, winning your tasty looking zine would be amazing! Please please please please please please please be me!! This looks amazing! Perhaps when I’m done with my fat fast I’ll have to make some of this up for my daughter and I to devour this weekend!